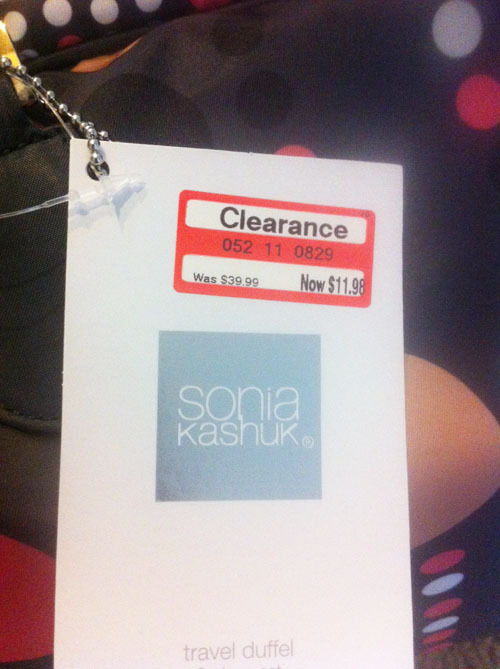 Does anyone else out there scour the clearance isles like me? I am kind of a nerd about it, you can call me a cheapster (made this up I think) or a cheapskate, but I always find the best deals…especially at Target for some reason. But lately, Marshalls has been really coming in big for me, I kind of consider it one big fat clearance isle. Now you might be wondering why I am telling you this because I am kind of making myself sound really lame and extremely cheap. Well, first off, I might be a little cheap. Second, my immediate family is pretty much it’s own tribe with 17 people, 9 of them under the age of 6, and literally a birthday pretty much every week it feels like. So this week’s birthday is my sis-in-laws (we’ll call her Teeg) and I think I found her the perfect gift. She is like me, she likes makeup, so I always have fun getting her something good but not spending a million dollars in the process. So here is what I found, and I am kind of impressed with myself. 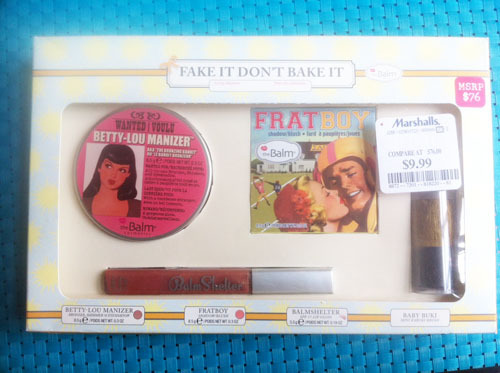 I have talked about The Balm before, but honestly, when I saw this in Marshalls…I almost wet my pants. If you have had kid’s before, you know that this is something that can occur if you laugh, sneeze, jump, or get overly excited. Oh, and yes I tried Kegals. 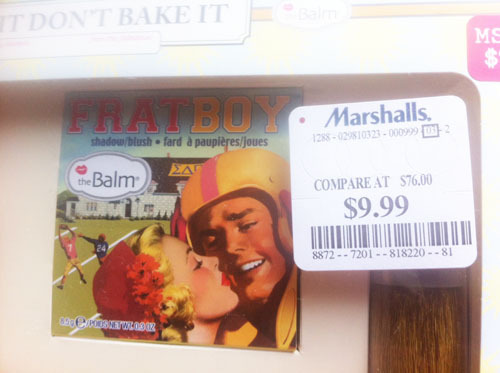 Anyways-this use to retail on Thebalm.com for $76.00, you can currently get it on ebay for around $39.99, OR you can head on over to Marshalls or probably T.J Maxx and score is for $9.99! Do you realize how ridiculous of a price that is? It’s ridiculous. If you didn’t catch the price before, I just thought I would re-iterate it one more time. TheBalm has some really awesome products! 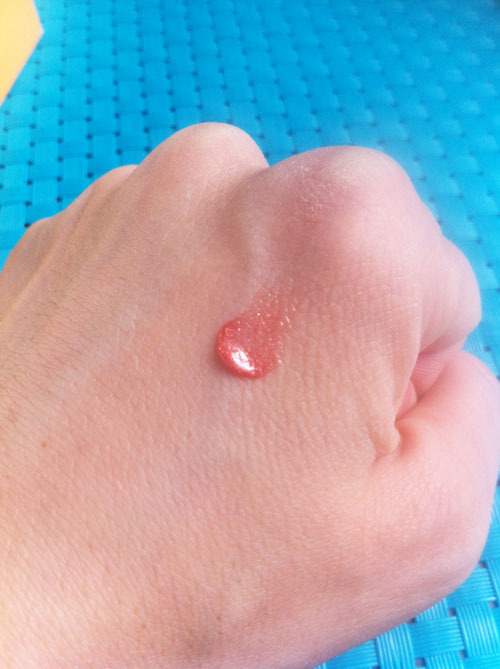 Here is an up-close picture of the Mary-Lou Manizer, full size, and currently selling on Thebalm.com for $24.00. It is extremely pigmented, so you really don’t need to use much. 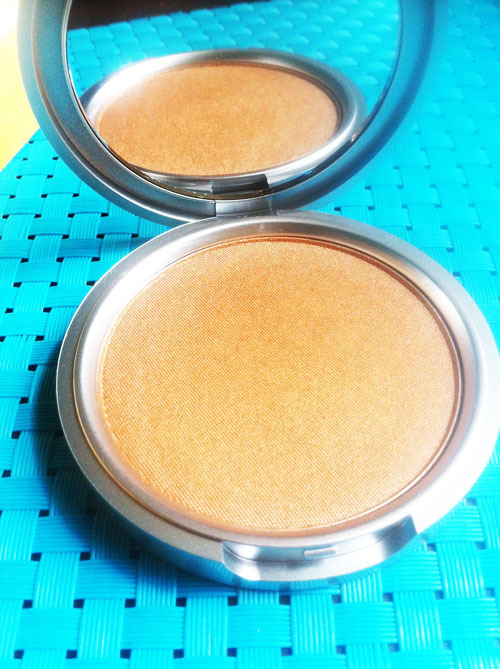 It also has a touch of shimmer to it, so it does a great job of making your skin look glowing. It’s a beautiful product, and I hope they have more left so you can buy some too. 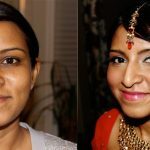 Seriously, is this blush not beautiful? 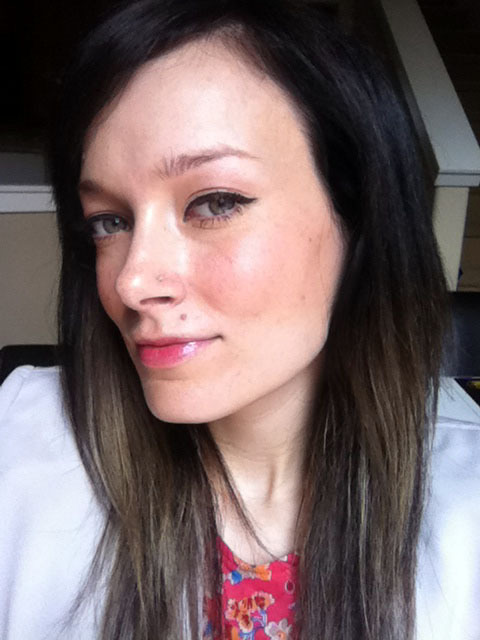 When I put it on it gave me this beautiful pop of color that made me have that really nice spring/summer flushed look. 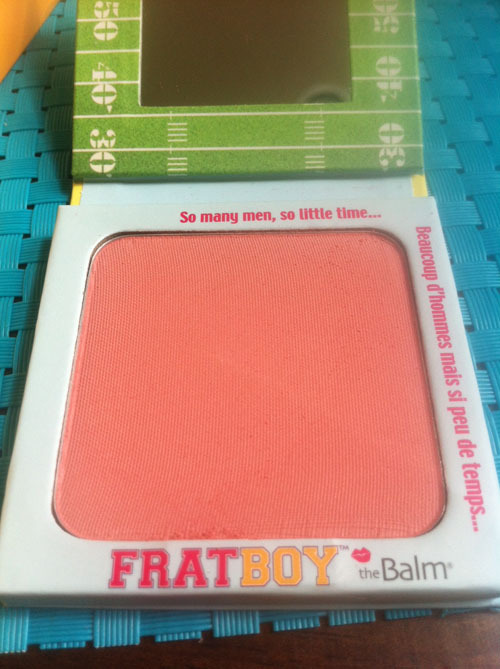 This is called FratBoy and it is currently selling on Thebalm.com for $21.00. 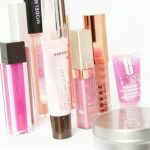 Last we have the lovely Balm Shelter lip gloss called Valley Girl Shimmering Peach. It’s a beautiful color that is shimmery and not sticky! Yay for none sticky lip-glosses! Currently it is retailing on TheBalm.com for $19.00! 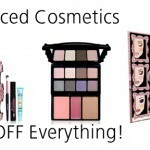 Of course when I see a deal this good I have to buy once for myself, especially if it is makeup related. So don’t worry, I didn’t try all of this stuff on and then re-package it to give to my sister. I am not gross like that. But what do you guys think? I love the way the bronzer makes my skin glow, I am going to have to go back and see if there are more sets. Now for her next gift! 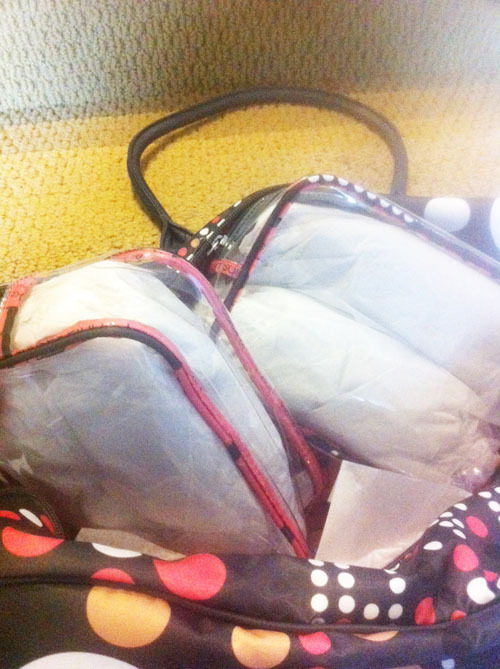 I am a major makeup bag nerd, I love them! 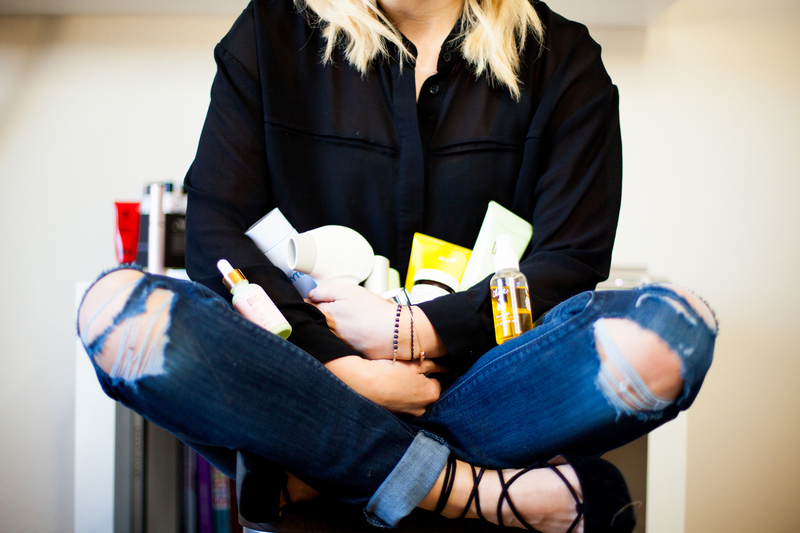 I also love gifting them to my brides with a little touch up kit inside, so I am always looking for cute ones. 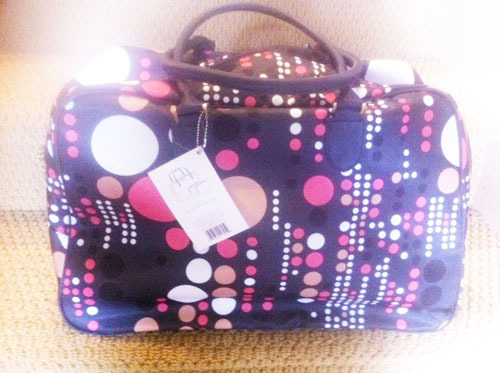 Well I found a really cute one that is more of a an over-night bag, or gym bag in her case. It really is a rather large bag…and you will flip at the price. 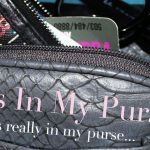 When you open it up, you will see two additional cosmetic bags that Velcro inside to keep everything from tossing around. Now, of course I bought this for myself too, and I honestly didn’t think it held very well to the velcro…but hey, I love that it matches and that they are cosmetics bags. 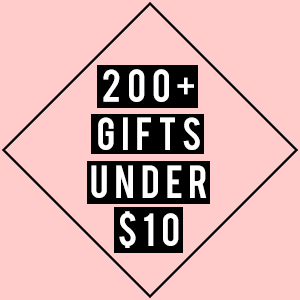 I will take the additional goodies. So this bag retailed for $39.99 at Target and it was marked down to $11.98! Are you kidding me? What a steal! I also went home immediately and checked on-line to see the pricing, and it was still on the Target site for the original price! Score for me. If you are wondering if I bought this for myself…the answer is clearly yes. 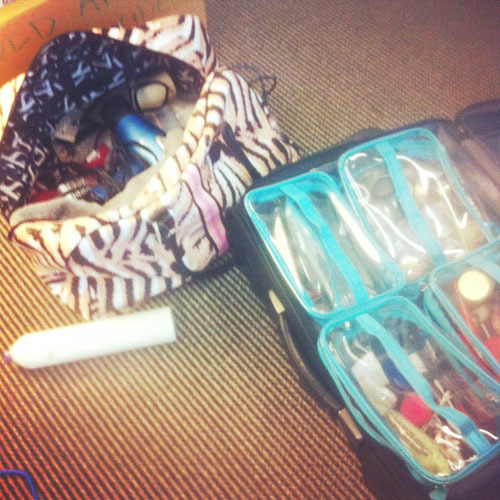 I use it to pack my hair supplies or makeup supplies like mascara wands, eyelashes etc. for when I got on photo-shoots! 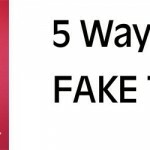 It has come in real handy, and today I used it at Nike while styling (makeup/hair) a client, so I thought I would share. 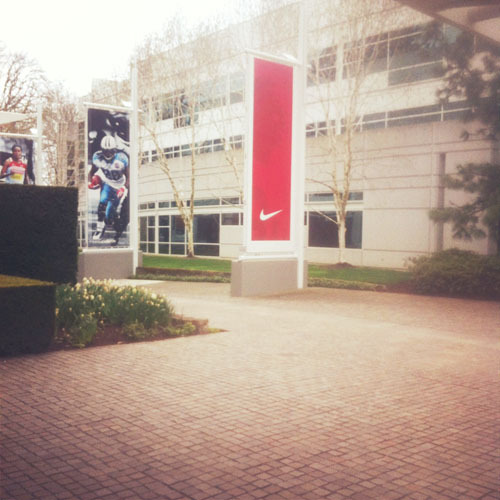 Here is my shot of Nike as I was leaving the campus for the day…I love my job! Oh- and Happy Birthday Teeg, one year left of your 20’s….live it up girl!